Along the 28.5-mile Scenic Highway are 17 distinct communities better known simply as “30A”. From the Mediterranean architecture of Alys Beach to the iconic American beach town vibe of Seaside, there’s enough variety that visitors are encouraged to find their “perfect beach.” Find your perfect South Walton/30A vacation rental property below and don't forget to start planning which events and activities you'll do while you're here! Just across the street from the beach, this Gulf Place Cabana is the perfect location for a weekend getaway or a week-long escape! 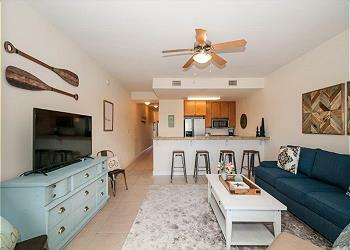 This one bedroom condo overlooks the pool & offers a view of the Gulf of Mexico! Experience a Memorable vacation at "Memory Maker." Located at the Legends of 30A, this four bedroom house is skip and hop from the beach and the pool is right outside your door. Nestled amongst the long leaf pines of Point Washington State Forest, Saltire Cottage gives guests the rare opportunity to not only unwind at the beach, but reconnect with nature in an upscale abode.